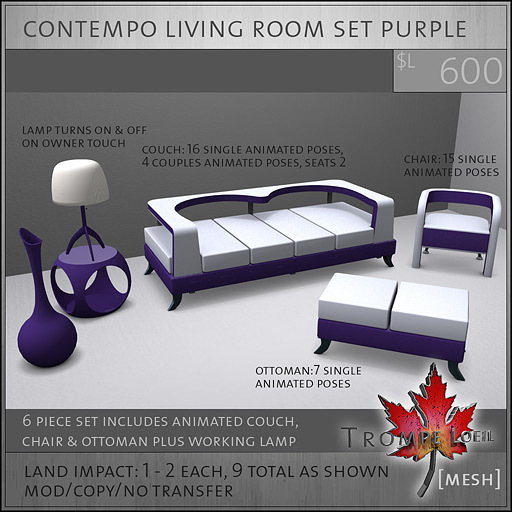 We’re really excited about our latest living room set – a unique and totally fun addition to any modern decor scheme, in your choice of 6 eye-popping (and pleasing) colors! 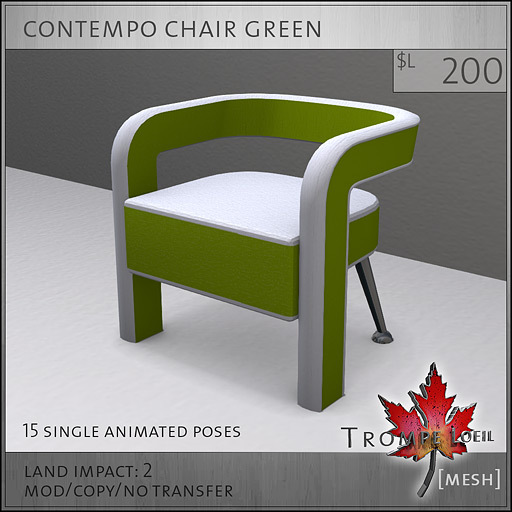 Super low prim – only 2 prims each for the couch, ottoman and chair, and 1 prim each for the table, vase and lamp – the seating includes tons of animated poses for singles and couples, and the lamp turns on and off on owner touch with subtle lighting and glow effects. 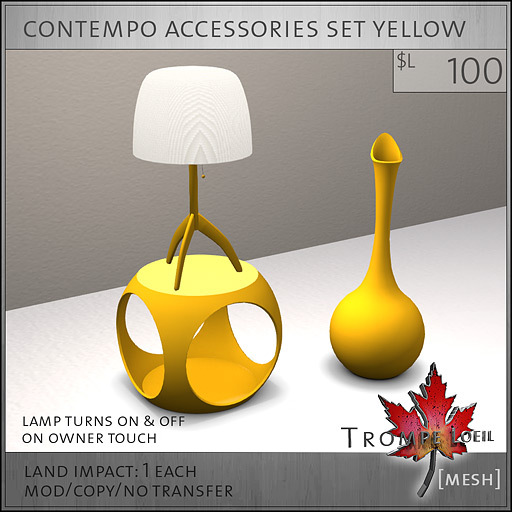 For you mix n’ match people, we’re also offering each couch, chair and ottoman individually, plus lamp/table/vase sets in all 6 colors plus exclusive white, AND a megapack of all table colors – grab just the pieces you want, get entire color sets and save $L100, the choice is yours! 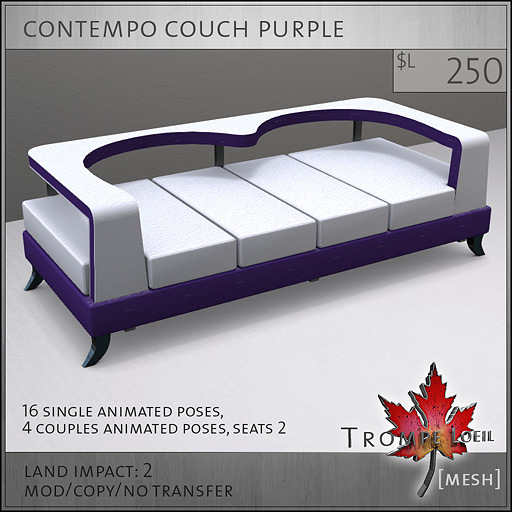 Grab these sets exclusively at FaMESHed starting September 1! 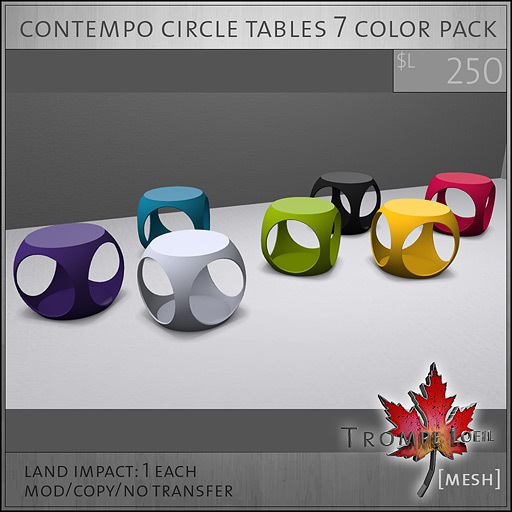 Note: not all color options shown for each item – but don’t worry, your favorite is available!